We type a lot on our mobile devices. We constantly text people, browse the web, type up documents, and so much more. Therefore, keyboards have become one of the most important apps on your device, so it’s important to be using one that you like the most. Plenty of recent Android devices come with the Swype keyboards Swype For Android, Reviewed: A Hassle To Install, But Is It Worth It? Swype For Android, Reviewed: A Hassle To Install, But Is It Worth It? I've long since fell in love with sliding/swiping keyboard, as my SlideIT review from a year ago shows. But when people hear "swiping keyboard," SlideIT isn't usually the first name that comes to mind: Swype... Read More , which, if you like the swiping mechanism which it uses, is perfectly fine. However, if you still like to tap on letters instead of dragging your finger around on your screen, the default keyboard has room for improvement. However, they’re meant to be rather simple, so you’ll have to look for third-party keyboards to get the job done. SwiftKey 3 is a keyboard for Android devices which aims to adjust itself in such a way that you can keep your current typing habits, but reduce the overall amount of keystrokes necessary. It accomplishes this through its unique prediction algorithm, so that it knows what you’re trying to say, even though you might have completely missed every key you wanted to hit. 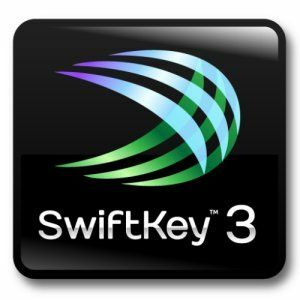 It sounds like something that a lot of keyboard developers have tried, but I can say that the developers of SwiftKey 3 were actually successful. 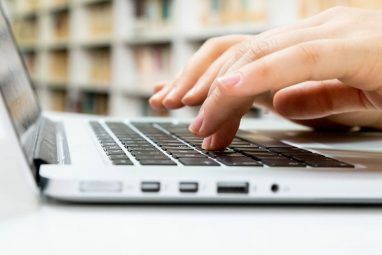 The keyboard, when you first install it, will ask you whether it should analyze past SMS’s, Facebook posts, and tweets to figure out how you talk, and what words you use most commonly. Afterwards, there is a large selection of settings which you can go through to customize your experience with the keyboard. 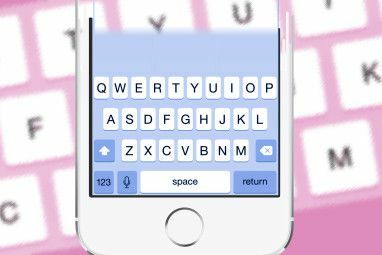 You use the keyboard by tapping on buttons just like you’re used to. There are other smaller letters or symbols at the top of most buttons, which you can access by holding the button and then sliding up and around until you’ve selected the symbol that you wanted. This is important to know, as most common sentence punctuation like periods, commas, question marks, and exclamation marks all use the same button. SwiftKey 3 also offers a couple of other cool features, such as statistics about your typing. It can show things such as how much more efficient you are with SwiftKey 3, how many keystrokes have been saved, how many typos have been corrected, and a typing heatmap which shows where on the keyboard you actually tap whenever you hit a letter. You can also use different themes on your keyboard, including an Ice Cream Sandwich-friendly Holo theme. You can easily install SwiftKey 3 by searching for it in the Google App Store or by following this link for phones or this link for tablets. The app does cost $3.99, but you can also try the full version for free for a month by choosing the free version during your search for the app or by clicking on this link for phones or this link for tablets. The app is quite small, so it shouldn’t take long to get it downloaded and installed. I absolutely love SwiftKey 3, and have made it my keyboard of choice after happily testing out the free trial for a month. It works surprisingly well, and I prefer it over swiping keyboards as I don’t really see any speed improvement. However, for those who like swiping keyboards and the idea of SwiftKey 3 may be interested in knowing that the developers are working on something called SwiftKey Flow, which is a swiping keyboard that uses the prediction capabilities of SwiftKey 3. The app is currently still in beta, but it’ll definitely be interesting to take a look at once it goes stable. What’s your favorite keyboard? Why do you like it the most? Let us know in the comments! this article should really get an update, with the way swiftkey recently evolved it's flow capacity!! It is the best automatic correction enabled keyboard. I must agree. Google predicts well, but SwiftKey predicts amazingly. I really wish there was a swiftkey version for iPhone. A functional one, I mean. How is it so far? Last I checked, it still had its bugs. I use it for about half a year. Can't type without it anymore. Tried three or for keyboards before this. It looks great but i am satisfied with my jelly bean keyboard on my galaxy nexus. 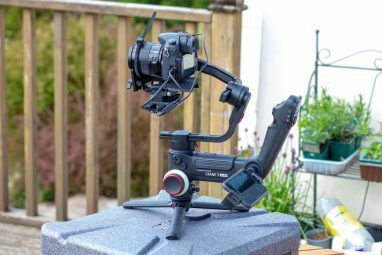 May be i would consider using this in the future. 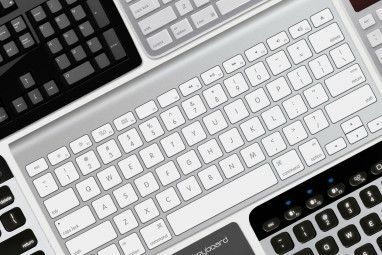 The writer should do a comparative article in this which would really help users like us to choose between the keyboards. Sadly I only have Ice Cream Sandwich and not Jelly Bean. Otherwise I would definitely consider it. I loved earlier version of SwiftKey. Haven't installed one lately, but I'd definitely recommend it based on my past experience.